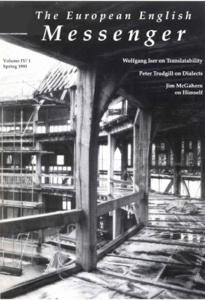 Cover: Photograph of the Globe by Robert Clark. ——Piero BoitaniShakespeare at the Globe? Teaching English in Europe: Toward a Single Curriculum? What is Anglistik and Why Are They Saying Such Terrible Things About It?